Quick post before I set off. 400ish miles covered yesterday, but I'm looking at 700 today. Got some time to hunt down a decent driving road so we'll see if I decide to deviate and add on to that. 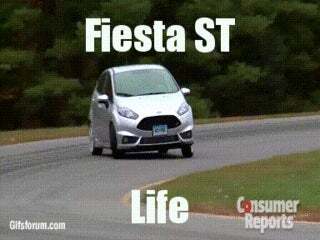 The Fiesta ST is an amazing road tripper and my average mpg overall is hovering around 36mpg despite some city excursions and......"more than legal" highway bursts. Road trip update 1.0 - On the road!